A quirk is defined as a peculiarity of action, behavior, or personality; mannerism. We are all unique individuals, having quirks that help make us who we are. I would like to know what your quirks are. Confess to one, confess to ten, you decide. Just come back Monday ready to spill the beans, the rest of the world may look at you like you are from Mars, but you‘re among friends here. We won’t laugh, in fact that eccentricity just may endear you to us more. So ... here are some of MY QUIRKS in no particular order. 1. I almost always spell the word 'stuff' as 'stuph' ... and use 'the ellipse' often ... just because. It all started about 25 years ago as a whim ... when I adopted an 'e e cummings' style of interacting on Bulletin Boards and in Chat Groups online (before the World Wide Web became the Internet we know & love today) ... using no capital letters or punctuation (other than the ellipse). 3. Occasionally I substitute the letter 'z' for 's' in wordz ... (like this) ... have allowed other idiosyncrasies to creep into my writing (semi-purposefully) ... for 'fun' . I write. 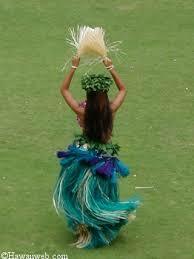 In addition, I love writing in Haiku along with other rhythmical forms of rhyming poetry ... I end my posts with a 'Thought for the Day' ... have many 'Quotes' in my sidebars ... and close my comments with 'Hugs and blessings'. 5. In many respects I'm a private person, but I do tend to share whatever's on my mind & happening in my life when I sit down to create posts ... much as I've always done when writing in my journal. First person present tense comes most easily to me ... though I'd love to be able to write in 3rd person past tense more fluently because telling stories (or sharing 'small reflections' from daily life) is my 'blogging' intention. 6. I love animals, words & books, the ocean, coffee in the mornings, and TENNIS but don't watch much TV (as a general rule) unless it's one of the 4 major tennis championships' or the Olympics. 7. I've been an avid reader all of my life (of both fiction and non-fiction) ... written daily in journals for decades (originally with a fountain pen in rather rigid rhyme & rhythm but shifted to mechanical pencils and a more spontaneous fluid 'visual' style) ... ignoring the lines on the page and eventually moving to unlined paper. 8. I'm told I have a 'twinkle in my eye' and a smile on my face always ... and I suspect I learned that from my Dad. I look strangers in the eye and nod or say hello often ... just because. I've made some interesting friends in this manner. 9. I'm a 'saver' and always have been, so I'm surrounded by 'stuph' I don't need or want. I've made a conscious effort to 'simplify my life & environment' in recent years with only minimal success ... but believe that if I don't quit, I can't fail ... so I push on ... SLOWLY but steadily. It's helped immensely to give up shopping as recreation because I'm no longer bringing new 'stuph' into my home on any sort of regular basis ... and that's a good thing! 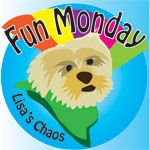 Click for others participating in Fun Monday this week. I enjoyed your post today and learned a little more about you. I am also a "saver." Don't we accumulate a lot of stuff? Have a great week, my friend. I do hope you're enjoying the tennis. I am a saver too. I know I need to simplify my life and get rid of some stuff, but it is so hard at times. Oh yes, I save too! I was hooked on the elipsis thing until a teacher or editor broke me of it...just about. I am trying SO HARD not to be a saver, but it's impossible. I share your pain! I got hooked on tennis (watching it, that is!) when I lived in England for five years as a child. My parents took my sibs nad me to Wimbledon! We saw Jimmy Connors and John McEnroe - to name a few. I love all tennis now, but still ahve a special fondness for Wimbledon. There is nothing wrong with slow and steady goal making! I love it! I also was becoming too much of a 'net writer IRL. Therefore, I also had to nix things like luv, skillz, etc. It makes me wonder what will happen to our youth who think such things are "real" language skills. Just from reading your posts, I can tell you must frequently have smile on your face :) I wish I shared your passion for reading! Hey. I didn't realize you did FM? I love the ellipse. I use it far too often. And, I also use parenthetical asides all the time! Love that you think it's quirky. I was educated by nuns who taught us that the use of the ellipsis was a sign of a weak mind. Right then and there I decided to use it frequently. These were the same nuns who told us to keep our legs crossed when we were sitting because God didn't want to look up our skirts. I have a *hello* and a *smile* for strangers myself. It is a good feeling to give joy to another. And try to keep the stuph accumulation down to a minumum. I, too, like to look folks in the eyes and say hello. Unfortunately, in this day and age, it takes them by surprise! Sad. These seem more like mannerisms or behaviors that only endear you to others.than quirks. My son ran a Bulletin Board in the 80's, It is interesting that you are blogging today. Some of those bulletin boards were a preliminary to blogging. I tend to overuse the ellipse. A 'twinkle in my eye' and a smile on my face always is an asset. More people should have this quality. I share your saying Hi to strangers often...I meet the neatest people this way!! NLM is a saver. He never throws anything out. I have the philosophy, if I haven't used it, seen it, or touched it in 2 years, it's out of here. Maybe I should change that so my kids could have some fun after I go. HA. The ee cummings quote was excellent and timely. Another friend has been feeling just this sort of pressure, so it might be good to share with her as well. Mary – Thanks for dropping by. Occasionally I’m appalled and overwhelmed by the ‘stuph’ I’ve accumulated, but at least I’m no longer adding to the ‘mess’ … so I guess that’s progress. Amen to that! Hopefully slow and steady will yield noticeable results … eventually. Jeanna – Heheh … I love the ‘just about’ … and it reminds me of a few other ‘quirks’ in my writing, I use ‘just because’ and ‘or not’ often these days at the end of my sentences. Actually I never use an ellipse in the REAL WORLD … just on the computer and in my journal. Tiggerlane – I only use the ellipse in my personal journal writing and online. Thanks … methinks some of us have more difficulty with this than others. I think of myself as a ‘recovering packrat’ often. Heather – Lucky you!!! I’d love to attend the Championships at Wimbledon and watch matches in person. I’ve been thinking of finally replacing my 21 year old Sony TV with a new flat screen because methinks it’s as close as I’ll get to the real thing. Irish Coffeehouse - Thanks for the encouragement re: slow and steady! As a retired teacher, I share your concerns about the writing skills of young people who use creative spelling (and abbreviations) for sending text messages and emails. Akelamalu – I wish I just saved one thing … but I tend to keep things I know I’ll never use or need … unless I’m paying close attention. I’m working to break those ‘habits’ and making progress, but not as quickly as I’d like. 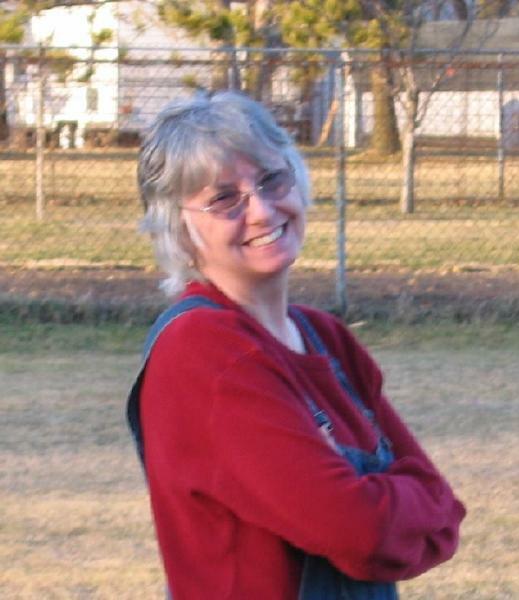 Sandy – Reading fiction has always been ‘an escape’ for me … and non-fiction continuing education. Methinks it’s as much a part of me as being an ‘unconscious collector’ all these yearz. My sister was never a reader until she retired, but she’s developed the habit since then and enjoys it immensely. Perhaps when you’re not so busy … you’ll cultivate and acquire the ‘passion’ for reading too. AnglophileFootballFanatic – Yup … started joining in on Fun Monday about 3 months ago. I enjoy the weekly challenge … sharing and seeing what others share too. This week I’ll be playing catch up big time since my new laptop distracted me from visiting everyone on Monday as I usually do. Ari – Yup … makes perfect sense to me. Methinks it’s part of what ee cummings meant in the quote I shared Monday. Robinellablog – Unfortunately, that’s often true … but at least it’s a pleasant surprise! Alison – You’re so right about that! One of the things I love about living so near the ocean is that people WALK here … and are not always in a rush so more interaction is likely. Grace – Writing is my journal is the way I stay ‘centered’ and focused. It was a survival tactic while I worked and has evolved into a pleasurable act I wouldn’t miss for the world. It keeps me in touch with myself. Nekked Lizard Lady – You’re just like my best friend and sister. Neither understands why it’s so challenging for me to let things go … but fortunately both love me just the way I am … accepting this ‘quirk’ as part of me while setting an excellent example (and helping when asked). I’ve learned a great deal from each of them. Joyce – All my days are pretty wonderful, but thanks for the good wishes and the positive feedback. I hope the e e cummings quote helps your friend. To all – I had good intentions when Monday started, but when my new laptop arrived I was distracted by it so I didn’t visit everyone as I usually do. I’ve got my PSE6 class this morning … so I won’t be able to visit until later, but I’ll be sure to drop by sometime in the next few days for sure. I love my new Dell! Thanks so much to everybody for your lovely comments. Like Joyce, I enjoy learning about my ‘online’ friends. Hope you each have a delightful day! Yup … I used to play in my younger dayz, but now I watch when the major tournaments when they’re televised. I usually ‘blog’ about the matches, but I’ve been too busy the past two weeks to write much about Wimbledon. I did share about the French and Australian Open Championships earlier this year and about Wimbledon in 2007 however. Thanks for dropping by and hope you’re having a wonderful week. Tina – I understand fully! I’ve been actively working on letting go of ‘stuph’ in recent years … and have managed to stop shopping, but there’s still ‘clutter’ everywhere. It may take the rest of my life, but I’m going to work on releasing what I don’t use or need … indefinitely. Photo Hunt #6 - It's a Gusher!